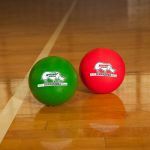 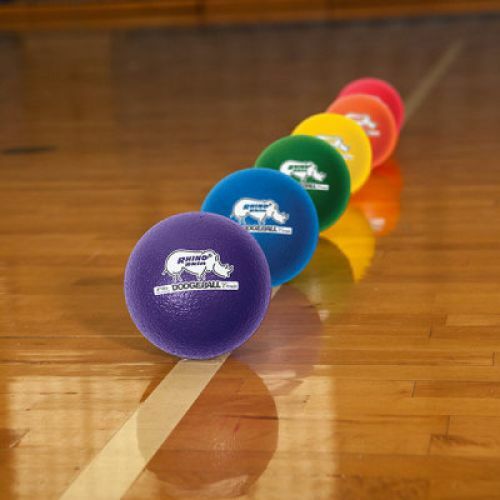 Made for any number of children's games in gym classes or on the playground, the Champion Sports 6 Inch Rhino Skin® Low Bounce Dodgeball Set features a patented Rhino Skin® coating, ensuring these tear-resistant balls will withstand rough games and regular use. At just 6.3" in diameter, these lightweight foam balls are easy for younger kids to throw and catch. 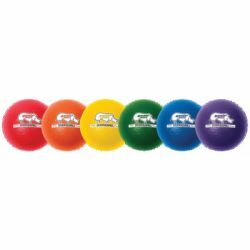 As well, the low-density core prevents significant bounces ensuring the balls stay in the game area at all times.